July is looking like it will be an exciting month for Outdoor Creations, we have a number of projects on the go, some of which are are starting to add the finishing touches to. The weather might not be amazing right now but that hasn’t stopped us! First off, we have had some great news that we wanted to share with you all. 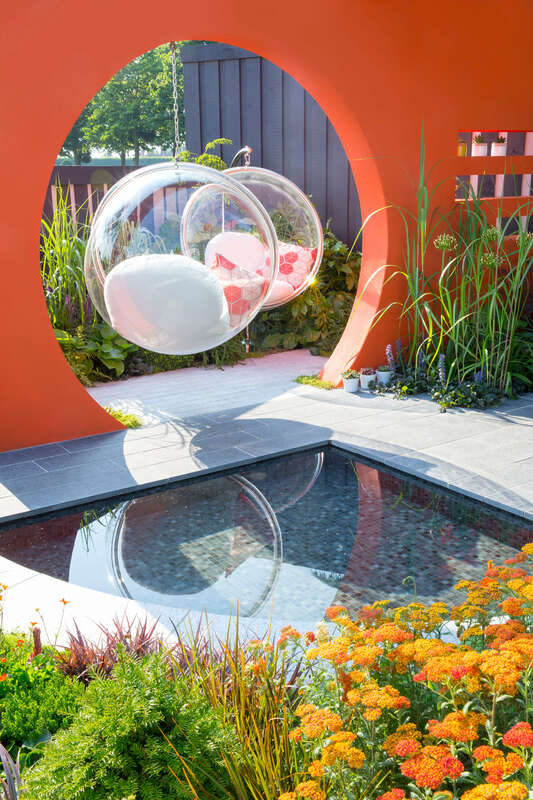 Back in 2013 we won the RHS Gold Medal and Best in Category at the Hampton Court Palace Flower Show for one of the garden designs we created. We were very excited to find out that our design was featured in the Sunday Mirror! The design in question is pictured below and is one we are particularly proud of. 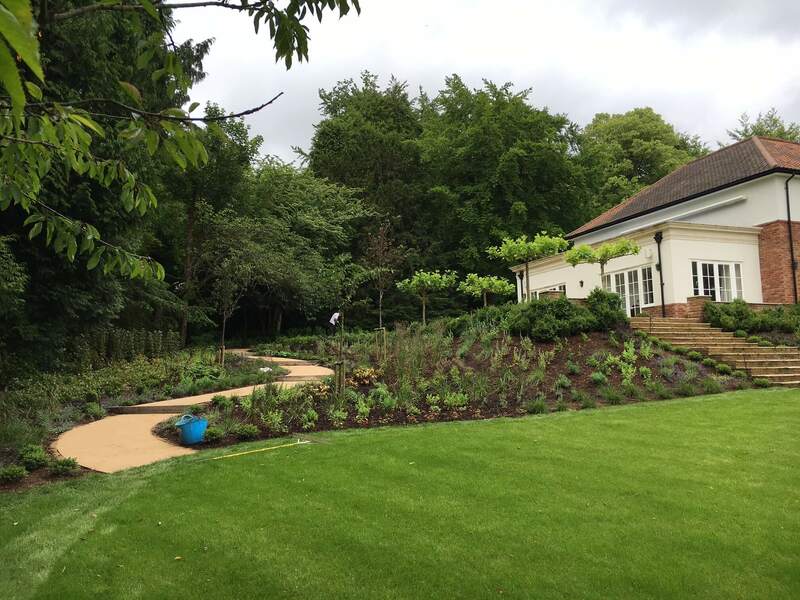 It hasn’t all be reminiscing over past achievements though, we have been very busy on a couple of projects, particularly on finishing up our Otford project which is now receiving the finishing touches and we think the customers are going to love it. We have been finishing off this Breedon gravel path, we’re trying to create a woodland walk effect with the garden which we think will look amazing. 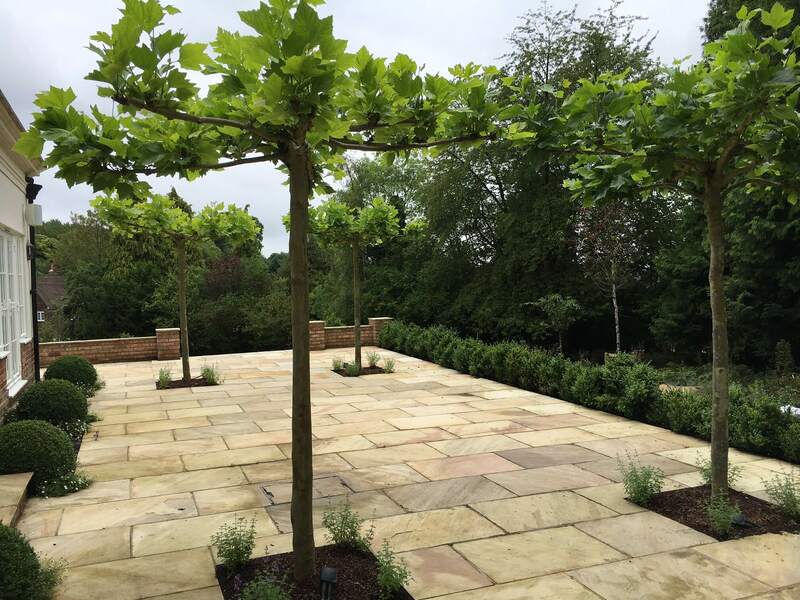 The path leads up to a secluded terrace where we have installed some ‘parasol’ plane trees which, when they spread out further, will give the terrace a nice private feel without the need for any physical structures and further adds to the natural woodland walk effect. We have then continued this path on to the upper garden using the same Breedon gravel and sleeper steps, it forms a pleasant, clear pathway yet it retains that natural woodland look. 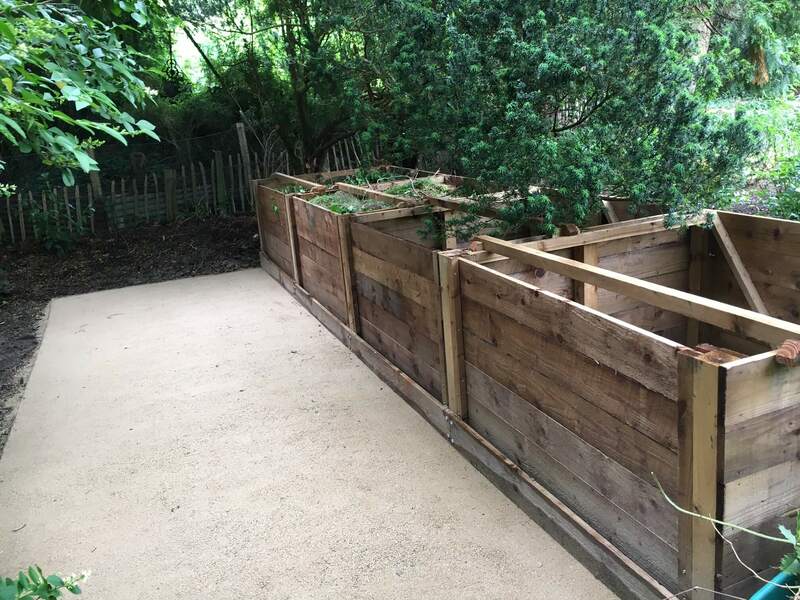 The path leads on to a six metre run of compost bins we have installed for the clients, having them made from wood allows the bins to blend in with the rest of the garden rather than plastic units that would ruin the feeling we are trying to create. As you can see, we have started the recycling process already with the plant material we have removed. We hope you will agree that this is a great way to do your bit for the environment, composting your waste garden material is a excellent option for improving your soil quality without using synthetic fertilisers and these custom compost bins look great doing it.